The study, published in the Journal of the American Geriatrics Society, divided healthy 65- to 75-year-olds participating into three groups. Some women participated in light weight training once a week, some did it twice a week, and the remaining group did a twice-weekly regimen of stretching and balance training. After a year, scientists evaluated the women's brain scans and compared them against scans they had taken before beginning exercise. The result: the women who didn't include weight training in their workouts or who only lifted weights once a week showed a serious progression of white matter lesions, an indicator of memory loss and cognitive decline. By contrast, the twice-weekly weightlifters' brain scans showed slower white matter shrinkage and fewer lesions, and these weightlifters also performed better on walking tests than the other two groups. 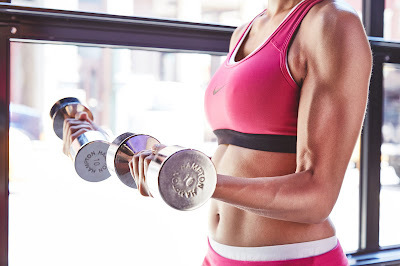 All in all, pretty compelling evidence that weight training should be part of your weekly routine.